Dr. De Angulo received his medical degree at the Escuela de Ciencias Medicas/Universidad Autonoma de Centro America in San Jose, Costa Rica. He completed his residency in pediatrics at Driscoll Children’s Hospital/Texas A&M University College of Medicine and a fellowship in pediatric hematology-oncology at the University of Texas M. D. Anderson Cancer Center in Houston, Texas. During his fellowship he was awarded the Young Investigator Travel Award by the American Society of Pediatric Hematology Oncology. Dr. De Angulo is board certified in pediatrics and pediatric hematology-oncology. Dr. De Angulo actively participates in research. He has published and has presented research outcomes at numerous national and international conferences. 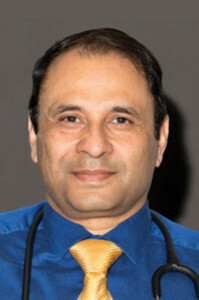 Sayed Naqvi, M.D is a board certified Pediatric Neurologist. He practices at Nicklaus Children’s Hospital, Miami Children’s Health System. Dr. Naqvi completed his Bachelor of Medicine, Bachelor of Surgery (MBBS) followed by Pediatric internship at University of Oklahoma, College of Medicine, Tulsa. He completed his Pediatric Neurology training at University of North Carolina, Chapel Hill. Dr. Naqvi completed his clinical neurophysiology fellowship at Miami Children’s Hospital before joining his duties as the director of Inpatient Pediatric Neurology at Nicklaus Children’s Hospital. Dr. Naqvi specializes in Pediatric epilepsies, infantile spasms and related disorders. Dr. Naqvi holds additional interests in Pediatric stroke. He is certified by the American Board of Psychiatry and Neurology with Special Qualifications in Child Neurology. He is also a member of the Child Neurology Society and the American Epilepsy Society. 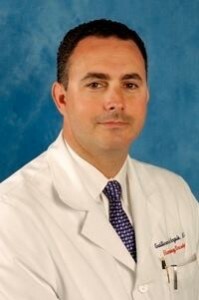 He is a Clinical Associate Professor of Neurology at Florida International University Herbert Wertheim College of Medicine. He is involved in the education of medical students, pediatric, neurology residents and fellows. 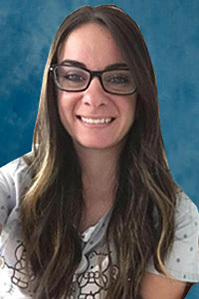 My name is Kateri Trelles and I have been a registered nurse for almost six years now. I currently work at Nicklaus Children’s hospital on the inpatient Hematology/Oncology/BMT unit. I am also board certified as a Certified Pediatric Nurse (CPN) as well as a Certified Pediatric Hematology Oncology Nurse (CPHON). Prior to working with children, I worked two years with the adult population. I will admit to being skeptical about working with children at first; never in a million years did I imagine myself as a pediatric oncology nurse, but I can honestly say that I love what I do. I became a nurse because I wanted to help people and I am fulfilled knowing that I somehow, even through the simplest gestures, have made a difference in the lives of these kids and their families! ​Working with children with neuroblastoma, like Daniella, is very difficult as the treatment for this diagnosis is very long and intense. Depending on the stage upon diagnosis, patients can expect to undergo surgery, radiation, high dose myeloablative chemotherapy, bone marrow transplant, as well as immunotherapy. It is hard for parents and families to see the light at the end of the tunnel with a seemingly endless journey ahead of them. As nurses we play a vital role throughout the treatment process. We are at the forefront of care that consists of administering chemotherapy agents, managing side effects, educating families on what to expect, as well as providing emotion support. And let’s not forget the nurses’ role as entertainer. It’s not easy keeping a toddler happy while being confined to a tiny bone marrow transplant room for weeks or even months at a time. This calls for some creativity. I remember having Daniella do my makeup in between medications, as well as singing and dancing along to Taylor Swift! But on a serious note, what really amazes me about Daniella and children like her is their strength and resilience. Along with witnessing that strength and resilience, I witnessed the most amazing love between a mother and her child. An unconditional love in which a parent is willing to do whatever it takes to save their child and advocate for their best interest. Being a part of Daniella’s care and seeing how far she has come is why I am able to continue doing what I do.